How quickly has the bank holiday gone? I've been looking forward to it so much and it's seemed to have whizzed by! 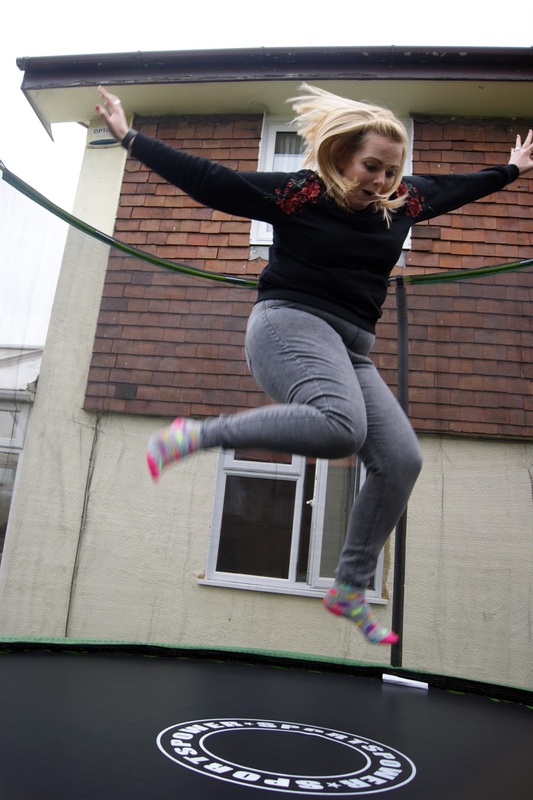 We've managed to cram in loads this weekend though from scones in Marks and Spencers to OOTD posts and some serious bouncing on our new trampoline. I'll start with probably the most knackering fun I've had in ages. Our lovely new 10 foot trampoline that was brought for the mini human but obviously he's still a bit too young to enjoy it, cue mummy and daddy making the most of it! I haven't been on a trampoline in years and forgot just how knackering it true is. After about a minute and a half I was panting but it's so much more fun than going to the gym! I Saturday morning wandering the streets of Canterbury on the hunt for some boots for the hubby. It didn't go well so we ended up sitting in Marks and Spencers drinking tea and eating scones instead. The traffic was mad coming home so if you follow me on Instagram you'll probably have seen the many Instastories of us having some Snapchat related fun in the car! We also headed out to a Cactus fair and I ended up buying another little beauty! Sunday was gym and trampoline day. It was lovely to just relax and not do too much. I drunk far too much tea from my Tea Tourist box (review will be up very soon!) but it was lovely to have a nice family day. Monday was full of shopping, a BBQ that ended up being an indoor BBQ and running out between it raining to try and take some OOTD shots. Sadly they didn't come out brilliantly but it was pouring down so I got what I could and ran back indoors! My dress is from Missguided, a few years ago now and it's become a staple in my wardrobe. I wore it a lot when I was pregnant too as it's this fab stretchy material. 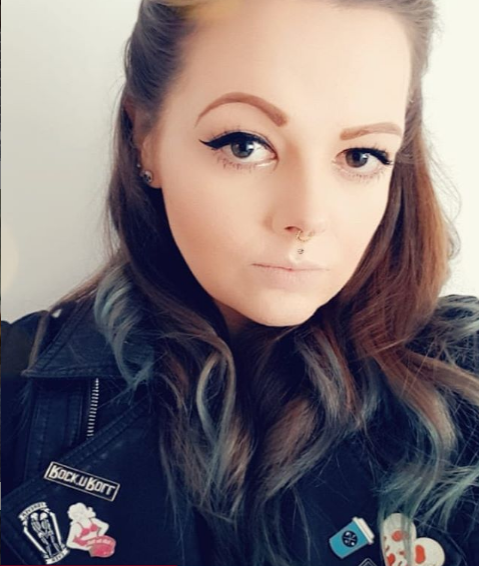 I love teaming it up with my platform creepers, leather jacket and some silver accessories but as it was raining and I was feeling lazy, I plonked on a pair of flats and my giant winter coat but I still felt more 'dressed up' than a pair of jeans, so it made a nice change! When we went out shopping we popped into Primark and I set my eyes on some beauties for my brand new and improved bedroom. 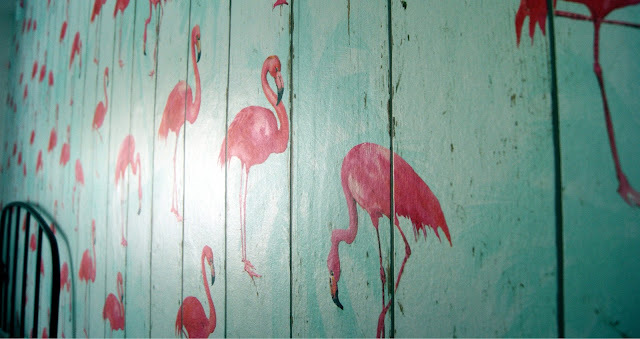 Hubby took off Friday and we spent the day redecorating as I walked into The Range a few days previous and fell head over heels in love with some flamingo wallpaper. 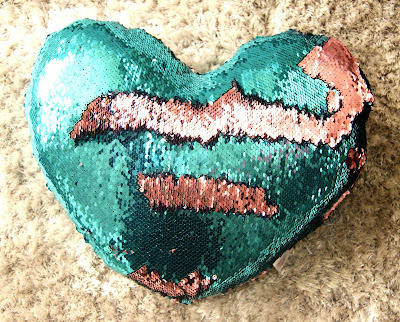 So when I saw one of those fab colour changing sequin pillows, I knew I had to have it plus it matches my new colour scheme, huzzah! 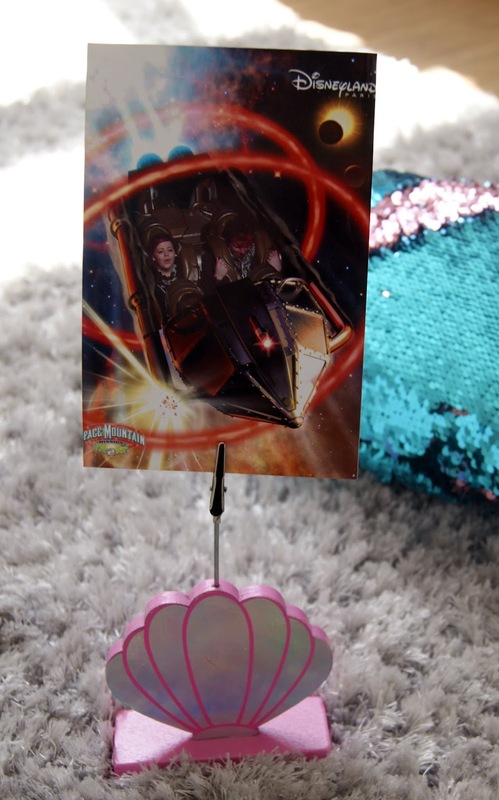 I also picked up a gorgeous holographic shell photo holder and I thought that would go well, so I've used it to hold one of the horrendous pictures of myself and the hubby when we were in Disneyland on Space Mountain. I think it's fab way to add a pop of colour and a bit of detail to our room without having a big bulky frame on the side. So that was my rather busy but fab weekend, what did you get up too? I'm envious of your trampoline fun! Sounds great! I've been trying to find exercise that is fun but isn't high-impact, and so far am having a good time with hula-hooping. I really love that flamingo wall and the little decor bits you found. Primark has some lovely things in lately!